Wa Naa’s Palace is an extraordinary example of traditional Sudanese mud-brick architecture. Few historic earthen buildings of this style remain in the region because of the scarcity of skilled artisans needed to undertake annual maintenance. The palace is home to the king of the Wala people, who comprise the majority population of Wa region. In the heart of Wa Town, Wa Naa’s Palace is a major cultural attraction, as well as a monument of political, religious, and social significance for local residents. The nineteenth-century structure is built using sundried mud-brick walls and Y-shaped wooden columns to support flat roofs of a bush-pole framework which are covered with mud. While most of the palace, including the courtyards and rooms, had deteriorated from a lack of regular maintenance, the front façade remained in remarkable condition with a series of impressive buttresses with pinnacles rising above the parapet. The graves of former kings lie in front of the building. 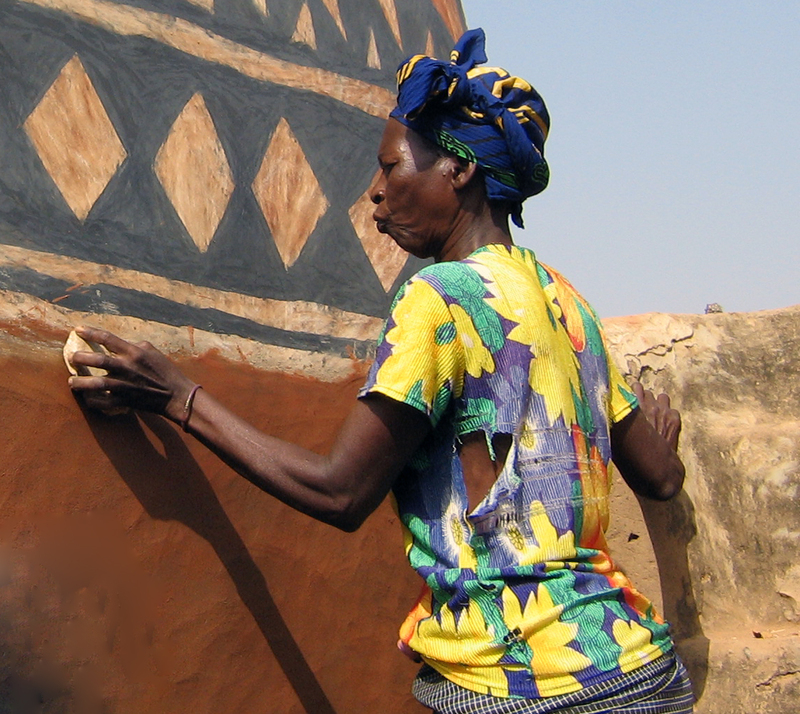 In collaboration with three groups—CRAterre, an organization dedicated to championing and conservation of earthen architecture; the Ghana Museums and Monuments Board; and the Wa Traditional Council—World Monuments Fund began work in February 2009, concentrating on documenting and planning, and emergency stabilization of the palace using traditional materials. A major focus was preservation of the traditional process of regular maintenance and repair, which had begun to break down about a decade before the conservation project, leading to the deterioration of the structure. Preserving these techniques and strengthening the underpinning social and economic traditions was as important for conserving the building as the labor. The project was finished in 2012. Through use of conservation methods specific to earthen architecture and traditional building processes, WMF encouraged the local community in long-term maintenance of this architectural gem and revived the craftsmanship necessary to preserve it. It is now likely that it will serve as a cultural and historic destination to generate revenue for maintenance and that future generations will be able to appreciate the special character of Wa Naa’s Palace.